WATERLOO – Wilfrid Laurier University has the highest proportion of students and alumni with volunteer experience compared to other universities worldwide, according to LinkedIn. LinkedIn analyzed the 10 million professionals around the world who added "volunteer and causes" to their LinkedIn profiles; when they looked at where these professionals attended university, Laurier ranked number one. The business-oriented social networking service added the “volunteer and causes” section to their profile options three years ago. It has become a popular feature, growing from 3 million last year to more than 10 million professionals listing their volunteer work and highlighting the organizations they support. According to the LinkedIn blog announcing the results, the popularity of the feature indicates how closely volunteerism is tied to one’s professional identity. 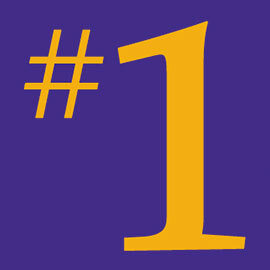 The first-place ranking reflects Laurier’s focus on integrated and engaged learning and the school’s philosophy of ‘inspiring lives of leadership and purpose,’ which encourages students to measure success through academic excellence as well as the quality of the lives they lead and those they inspire. Laurier students are encouraged to volunteer in the community to gain additional life skills, and have many opportunities through fieldwork, placements, practica, co-op and the Community Service-Learning program, which partners more than 1,500 students each year with more than 300 community agencies. In 2004, Laurier introduced the Co-Curricular Record (CCR) to its students. The CCR formally recognizes the benefits of student engagement, volunteer and leadership activities by giving students a record of all their extra-curricular involvement at the end of their studies to complement their academic transcript. Since 2004, over 13,000 Laurier students have created a CCR, and the number continues to grow each year, with more than 3,100 Laurier students updating their CCR in the 2013-2014 academic year. Since its inception, the activities, groups, clubs, associations, events and programs that students can choose from has grown from 210 to nearly 350, representing a significant spectrum of opportunities for student involvement at Laurier. To read more about LinkedIn’s “volunteer and causes” section, visit the LinkedIn blog. Read the story in The Record.